West Bengal Joint Entrance Examination Board will release the WBJEE 2019 Admit Card on 14 May 2019. 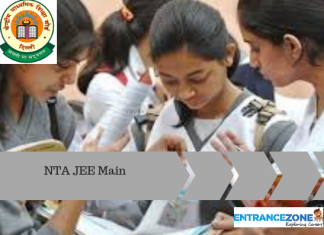 WBJEE 2019 is an Entrance Examination conducted every year by the West Bengal Joint Entrance Examination Board. 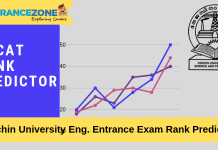 Its purpose is to offer admissions into the Engineering and Medical courses in the affiliated colleges of the University according to the rank and the score of the student scored in the examination. 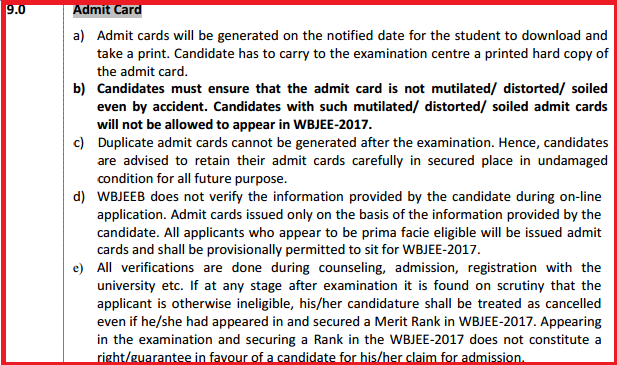 While WBJEE Admit Card 2019 will be issued to candidates who will apply for WBJEE and those who will be fulfilling eligibility criteria for the West Bengal JEE. Keep checking this page for updated information regarding WB JEE Hall Tickets. The dates for downloading the admit card will be released by West Bengal Joint Entrance Examination Board and admit card/hall ticket will be available from 14 May 2019 on the official website ( the link is given below). The link for downloading the admit card will be activated here. The West Bengal Joint Entrance Examination is scheduled on 26 May 2019 and will be pen and paper-based. After the WBJEE 2019 Application form which is available online the student should fill and submit along with the Application fee. And they must download it and keep the print out of it for the future reference. 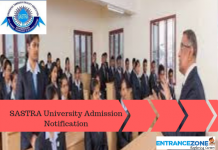 Admit Card is a mandatory document which the student needs to carry along with them in the examination hall, without it candidates will not be allowed to enter the examination hall. In case if any student forgets to take the print out of the admit card at the application form submission time with the payment of the fee, then he/she can procure it by using a unique number and password for each applicant. Also, one cannot procure the admit card after the termination of the exam. The admit card is a mandatory document, also to view the result with the number written on the admit card only. The steps to download the hall ticket/admit card for West Bengal joint entrance exam is given below. Search for Admit card link on the official website of the WBJEE board. Click on the link provided ‘Download Admit Card’. 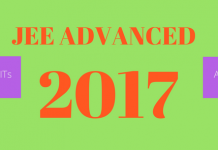 Fill in the details asked to download the admit card for examination. Finally, the WBJEE 2019 admit card will be displayed on the screen. Check the details printed on the admit card/hall ticket. In case of discrepancy contact WBJEE Board. Finally, print and save the admit card for future reference. Read more information about Hall Ticket as per the official website. Candidates can generate the duplicate Admit card only till the date of examination i.e. 22 April 2019. Candidates must apply to the Board and paying a processing fee of Rs. 500/- by Demand Draft in the name of ‘West Bengal Joint Entrance Examinations Board’, payable in Kolkata. Admit card is a document need to carry to the Examination center. It is a permit pass which allows the students to take the test. 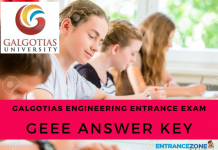 It carries the relevant information like student name, application/registration number, roll number, test center code, students’ signature, test center name and address, test date and timings and slots etc. Without admit card nobody will get permission to enter the Examination hall. Candidates need to carry the Admit Card/Hall Ticket to the counseling venue along with other Documents for verification. Other documents such as valid Government Id like Driving license, Voter ID card, Pan card, Passport, Aadhar card etc. Aspirants should keep at least two photocopies of the Admit card in case if one gets destroyed or words or numbers appear vague. In that case, another photocopy will be helpful.